Advanced re-registration for current students runs from April 15-27, 2019. Get details here. 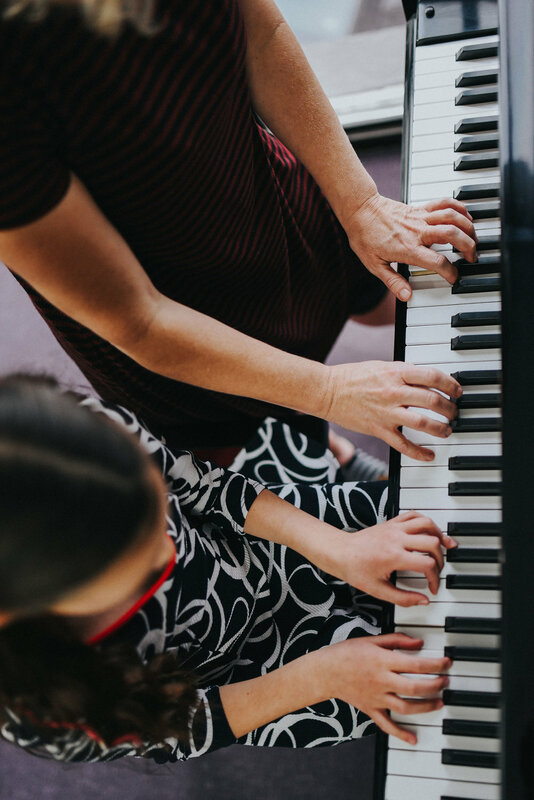 At CSM, students of all ages enjoy lessons in piano, guitar, voice, violin, cello, flute, ukulele, drums, composition, and theory in both studio and in home settings. We teach all styles and genres of music. Our progressive environment offers students a chance to learn and grow as musicians and human beings. Our highly qualified instructors are dedicated to cultivating a lifelong love of music through the development of each student’s natural abilities. Our group programs are designed to engage and inspire growth and development at every stage of life and encourage a life long love for music. Explore programs such as Musical Theatre, Pop Collective Singing Group, Ukulele performance classes, Beginner Guitar or Ukulele Classes, Adult Boot Camps to performance ensembles, master classes and so much more. Chinook School of Music is making an exciting switch to Wellnessliving.com! Our team is excited to announce that we will be switching client management companies from Activenet to WellnessLiving.com starting this spring. CSM director Carrie Kalmykov gives us the “Top 10 Benefits of Learning Drums for Adults and Children” ahead of our Drum Discovery Day program on April 27!